Last week I built a website, a simple one that features my author name and gives readers a place to check me out while giving me a more permanent place for information about my novels and such. Many of you will know I’ve invested a lot of time in building this blog, offering content with a particular focus on readers and writers of historical fiction. A Writer of History will remain the primary venue for sharing information, however, with a novel soon to be published by Lake Union and two other novels ‘out there’, it seems more than sensible to create a landing spot for queries about M.K. Tod. 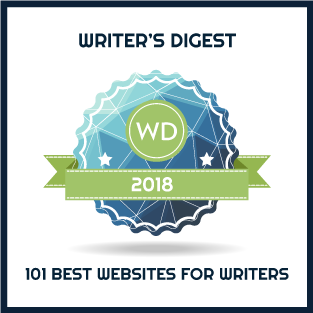 Imagine my astonishment when I received an email a few days ago from the folks at Writers Digest saying that A Writer of History has been selected as a 101 Best Website for Writers. You can find the complete list in the May/June 2016 issue. A Writer of History is in the category of GENRES/NICHES. Thanks to all of you wonderful readers for your encouragement and to all those who have written guest posts or been interviewed for the blog. Your contributions have truly enriched the content.